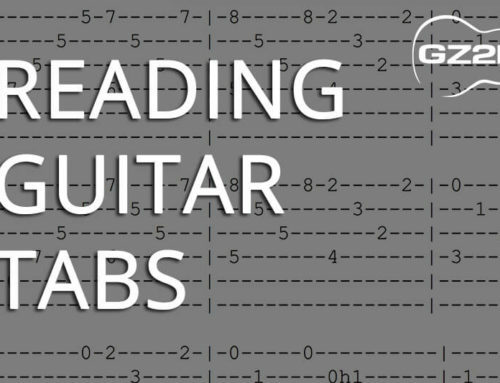 OK, so you’ve decided you want to start playing guitar. Yay! With hundreds of brands and models of guitars out there you may ask, what is the right guitar for me? 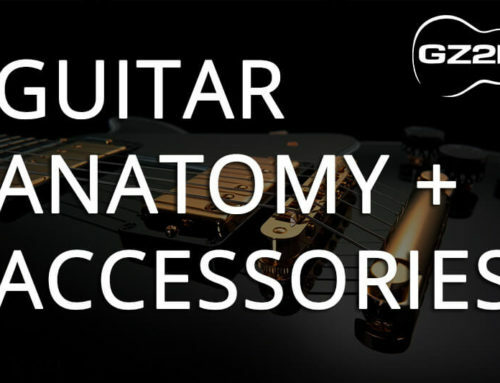 We can categorise most of them into two main categories: the standard six-string acoustic or six-string electric guitar. Many popular songs have an electric guitar in the mix somewhere. It is great for both recorded music and live performances. However, it requires a guitar amplifier to use, and it is probably the electric guitar’s biggest downside. Except for portable models with battery options, guitar amplifiers require a power source. This restricts the songwriter to locations where power is available nearby. Electric guitars can be heavy too with their solid wooden bodies; especially the Les Paul types. In addition, electric guitars usually sound better in a band setting. 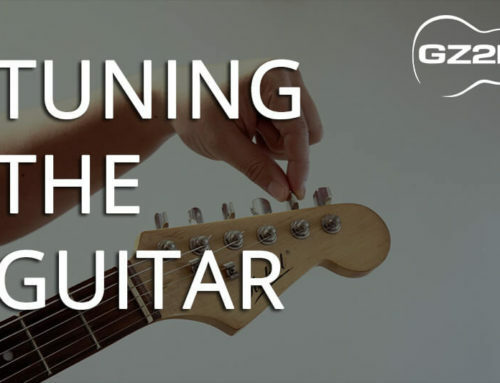 Although the electric guitar is intended to run through an amplifier to be heard, if you are in a quiet room it can be used without amplification, however the sound that you will get will be thin and very quiet. There are several electric guitar models and the choice depends on the tone preferred by the songwriter. For full, heavy tones, a guitar equipped with humbucker pickups is normally used. Examples of these guitars are the Les Paul and SG models. Those looking for a clean, clear tone can opt for a single coil electric guitar like the Stratocaster and Telecaster. Using an electric guitar while writing songs may be preferred for songs created for band performance, though it is not a requirement. The acoustic guitar is a very versatile instrument for singers and songwriters. It is relatively light and does not require an amplifier for listening. That means it can be used anywhere the songwriter is comfortable working, be it in the living room, bedroom, backyard, beach, or park. Guitarists have a choice between classical or steel-string guitars. A classical guitar has nylon strings and is easier on the fingers. However, it is more suited for classical, flamenco, jazz and folk songs. Steel-string guitars come in different body shapes and sizes. Songwriters wanting to bring an acoustic guitar to places that inspire musical creativity may consider a 3/4–size travel guitar. It is so small that it can fit in a plane’s baggage compartment. In contrast, a dreadnaught (the standard acoustic guitar body size) is much bigger and may not be comfortable for some guitarists. However, a dreadnaught sounds fuller than a travel guitar and is preferable for many acoustic guitarists. Generally, a smaller body sounds thinner, while a bigger and deeper body can produce more bass and volume. The biggest advantage of starting on an acoustic guitar will be that your fingers will develop strength much quicker since the strings are harder to push down. This may deter some beginners but if you keep at it, it will benefit you in the long run. So other than their shape and build, how are the different? Short answer, they’re not different at all. 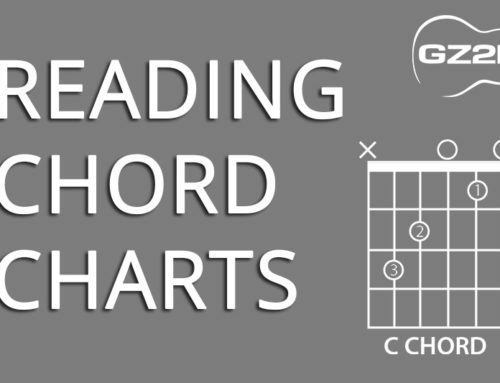 The notes, tuning and chords for both types are exactly the same. 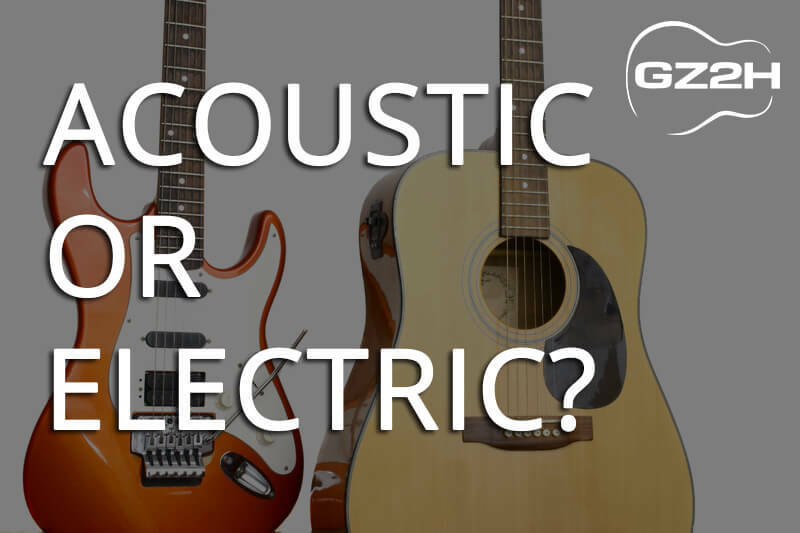 So if you can play a song on the acoustic guitar, you can play it on the electric. Simple! 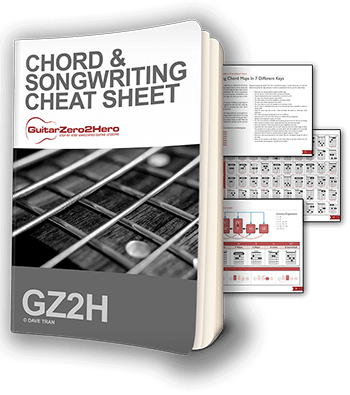 At GuitarZero2Hero, I prefer to teach using the acoustic guitar. It allows me to easily teach without the use of an amp, but also provides a clean sound which is perfect for hearing exactly what i’m playing. My advice, get a guitar to suit your preferred music taste. If you like pop, folk or ballads or singing in general, definitely get an acoustic. If you like rocking out, shredding licks and hope to melt faces one day, get an electric.